The Elektro Ljubljana Group has been technologically advanced from Day 1, and has remained at the top ever since. Throughout this time we have been ensuring that electric power serves Slovenians and leads consistently toward development. We started as pioneers of progress serving the people by installing Slovenia’s very first public lighting at the end of the 19th century, and today we continue to innovate, literally powering the development and establishment of electric mobility. By building a water and power plant in Kočevje, the town was provided with drinking water and electric power. The start of electricity in the town, produced by the Rinža River, was the birth of both the public electric power network and public electricity use in Slovenia. On 1 January 1898, Ljubljana appeared in a new light thanks to the city's first electric lamps. Ljubljana obtained its own thermal power station that was owned by the municipality and therefore public, in contrast to the industrial power plants. The electricity produced by the Ljubljana City Power station (Mestna elektrarna Ljubljana) was primarily used for public lighting; the network comprised of 794 light bulbs and 48 arc lamps. Electric lighting was introduced to public buildings as well, while the rest of the city’s electrification took longer to arrange. In 1890, a watchman from Trbovlje created a simple electrical dynamo and tested it on a steam-powered sawmill used in a mine. In 1903, Trbovlje's coal mining groups installed electric lighting in two mine passages and started driving ventilators on the Gvido dynamo. In 1904 they added two more generators: one steam-powered sawmill in the central mining workshops and the other by the separation of coal, which was powered by a steam locomotive. This generator was used only for providing electric lighting when separating coal and for powering the narrow-gauge railway. The generators were connected by a transformer and a 700-metre long open loop duct. The Trbovlje coal mining group (TPD) also commenced electrifying of mining villages, which started to be considered as part of the group due to the Group not having a concession for the public distribution of electricity. Electrification of the Dolenjska region began when Franc Seidl and Josip Košiček built a small 50 kVA power station and a 3kV transmission line to a hospital in the town of Novo Mesto. To electrify the remaining buildings in Trbovlje, the municipality set up a cooperative, which in 1913 built a power plant with a power of 2 x 25 kW, a voltage of 2 x 150 V, and an accumulator battery. Public electrification was thereby established in Trbovlje and electric power also reached houses that did not form part of the mining complex. At the Ljubljana City Power Station in Ljubljana (MEL), two motors start producing alternating current besides direct current, thus ensuring a three-phase current. MEL takes over the Electric Cooperative in Šiška and unifies the supply of electricity in Ljubljana. Activities slow down, with only two transformer stations being built. 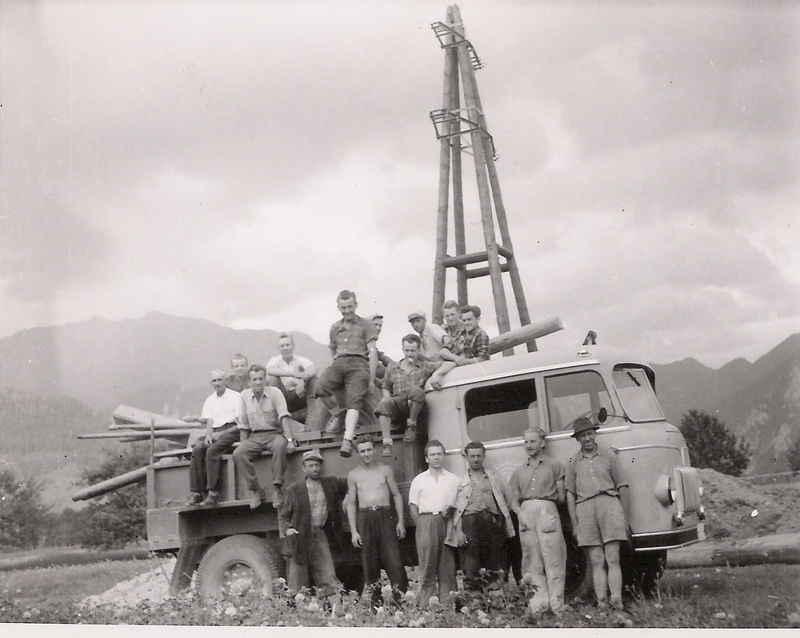 During the war the power plant is handed over to an Italian officer, while the distribution transformer station in Črnuče and the hydropower plant in Česenj are held by the German occupier. Trams are phased out in Ljubljana and MEL slows down. In the early 1960s, the Heat Production Plant takes over providing electricity for Ljubljana. New electricity distribution companies are established pursuant to new laws, transforming Elektro Ljubljana City, Elektro Ljubljana Environs, Elektro Kočevje, Elektro Novo Mesto, and Elektro Trbovlje, which were previously independent companies, into new business units of Elektro Ljubljana. Start of transition from 35 kV to 110 kV voltage. Introduction of a secondary protection system. Based on the privatisation of state assets, the public company becomes a joint-stock company, with the majority shareholder being the State. Digital systems start being implemented within remote controlling. Founding of the Elektro Ljubljana Group’s Small Hydropower Plants, which cover the engineering of renewable sources. Today, it operates as a subsidiary of Elektro Ljubljana, under the name Elektro Ljubljana OVE, d. o. o. The first electric vehicle charging station is installed. To separate network and retail operations, the process of purchasing and selling electricity is taken over by a new company. The subsidiary Elektro energija, d. o. o. starts fully functioning on 1 December 2011. The first virtual power plant acts in the electric power system. This allows adjusted consumption services and accelerated production to be implemented with the help of industrial customers without risking overloads in the distribution network. The virtual power plant reduces the network load without investments, while the service can also be used to optimise a supplier's portfolio. Devastating sleet in February affected over 400 km of the network with over 100,000 customers in the area covered by Elektro Ljubljana remaining without power. More than 1,750 power lines were damaged. More than 500 Elektro Ljubljana workers helped respond to the consequences of the natural disaster, doing their best to re-establish power to customers within the shortest time possible. Electricity storage is installed as the first battery system in the electricity distribution network. The merger of our subsidiary Elektro energija with the best strategic partner allows us to consolidate our leading position in the Slovenian energy market in the long term and to maintane our excellent levels of customer service.